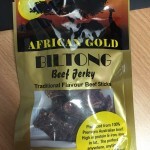 The Jerky Joint has been setup to provide reviews of Australian Beef Jerky. 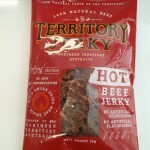 While Beef Jerky is huge in the United States, it it yet to take off here in Australia. While there are a large number of people who consistantly buy jerky, there is a much larger portion of the nation that has never tried, or even heard of Beef Jerky. The team at The Jerky Joint see a Jerky uprising in the coming years. 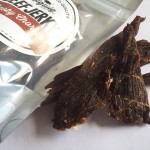 With the increase of artisan food producers and health conscious general public looking for alternative snack ideas, jerky seems like a great option. Our review process is quite simple. We are sourcing product from throughout Australia and giving it a go. We know all jerky is different, and everyone has different tastes, so what our reviewers might say about a product, might not necessarilly be in line with your thoughts – welcome to the world of reviews. We recommend people make up their own mind by trying jerky for yourself. Support our local producers and experiment with different styles and flavours until you find one (or many) that you like. If you would like us to review your jerky product, fill out the form on the “Submit Jerky” page. Thanks for visiting and we hope you enjoy the jerky reviews.